David Beckham, who was sporting a shirt and tie, was riding motorbike just to meet President Obama. 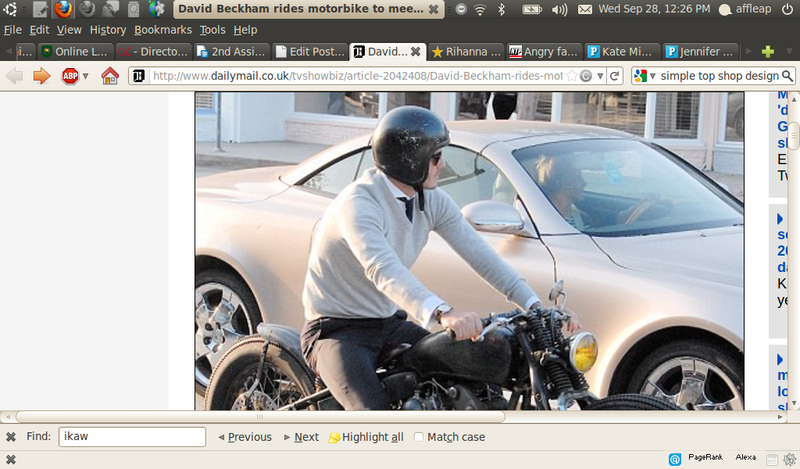 The soccer star ignored of wearing boots and leathers by hopping on his motorbike in an outfit fit for the office. Fortunately, he wore a helmet and completed the look with a cream sweater and brown suede shoes. It may seem like an unlikely friendship, the US President and LA Galaxy star have bonded on several occasions.